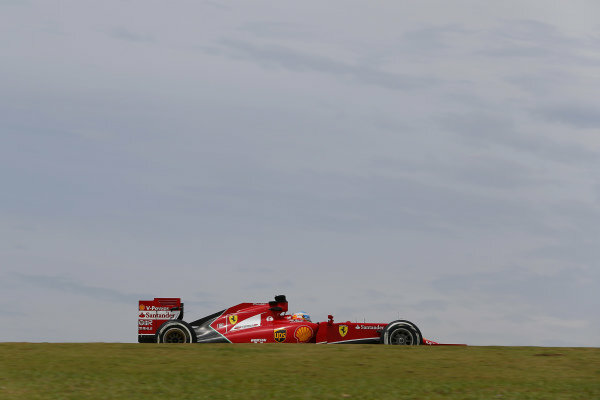 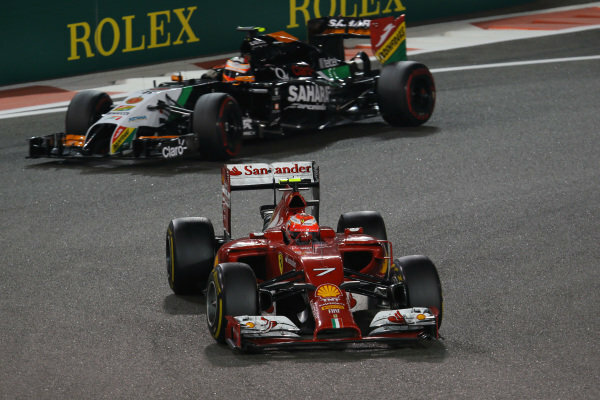 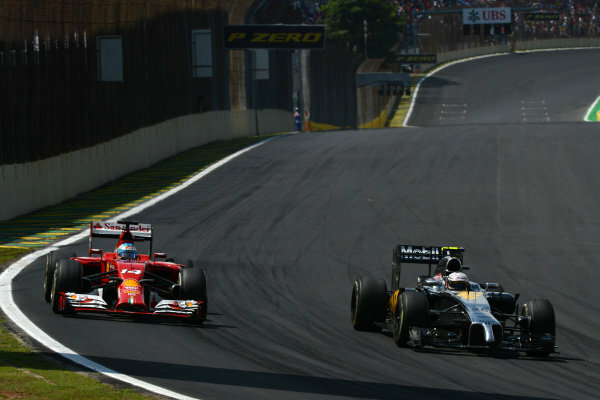 (L to R): Fernando Alonso (ESP) Ferrari F14 T and Kevin Magnussen (DEN) McLaren MP4-29.<br /> Formula One World Championship, Rd18, Brazilian Grand Prix, Race, Sao Paulo, Brazil, Sunday 9 November 2014. 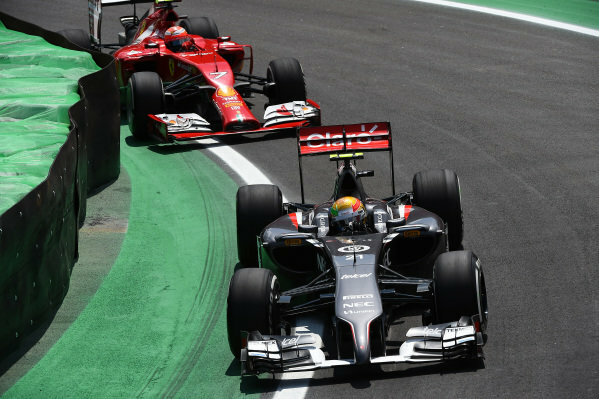 Esteban Gutierrez (MEX) Sauber C33 and Kimi Raikkonen (FIN) Ferrari F14 T.<br /> Formula One World Championship, Rd18, Brazilian Grand Prix, Race, Sao Paulo, Brazil, Sunday 9 November 2014. 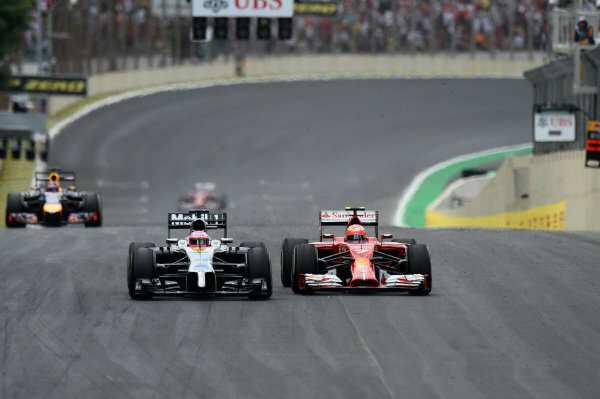 (L to R): Kevin Magnussen (DEN) McLaren MP4-29 and Fernando Alonso (ESP) Ferrari F14 T.<br /> Formula One World Championship, Rd18, Brazilian Grand Prix, Race, Sao Paulo, Brazil, Sunday 9 November 2014. 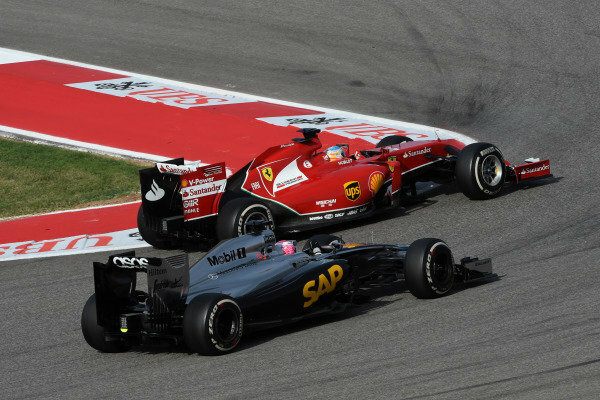 Jenson Button (GBR) McLaren MP4-29 and Kimi Raikkonen (FIN) Ferrari F14 T battle. 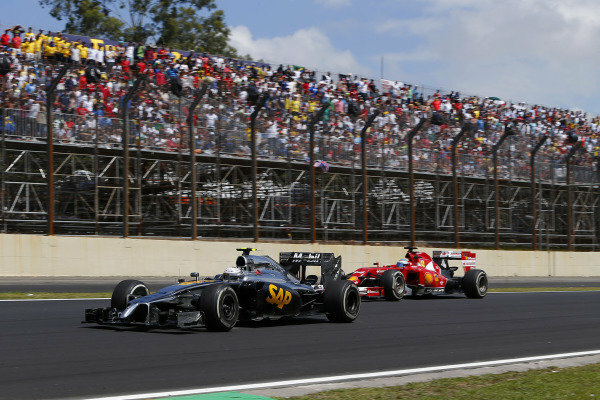 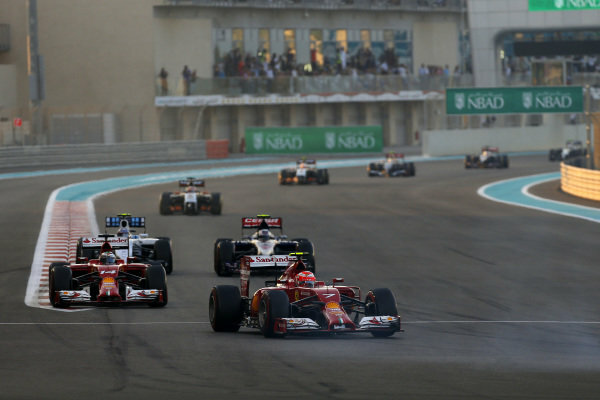 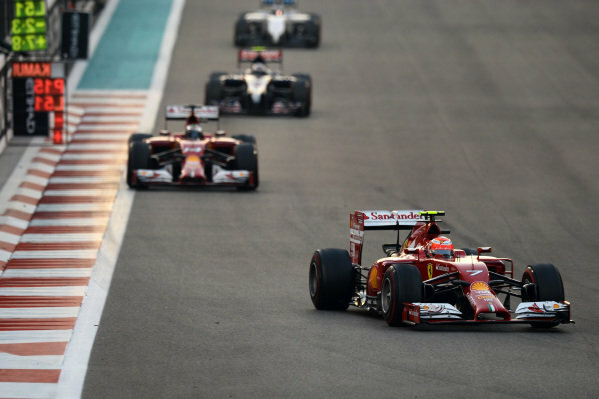 <br /> Formula One World Championship, Rd18, Brazilian Grand Prix, Race, Sao Paulo, Brazil, Sunday 9 November 2014. 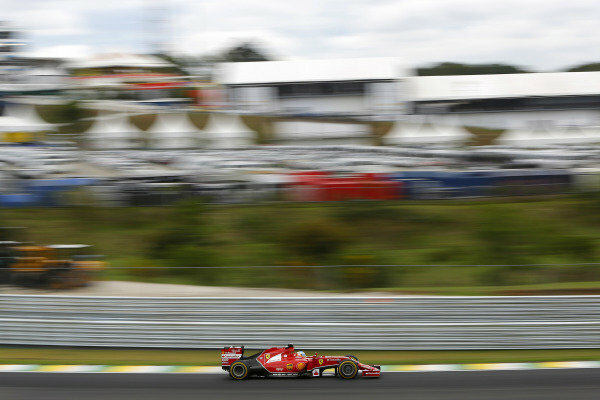 Fernando Alonso (ESP) Ferrari F14 T.<br /> Formula One World Championship, Rd18, Brazilian Grand Prix, Qualifying, Sao Paulo, Brazil, Saturday 8 November 2014. 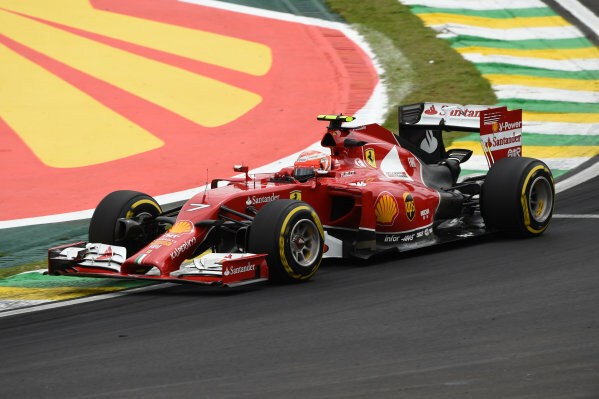 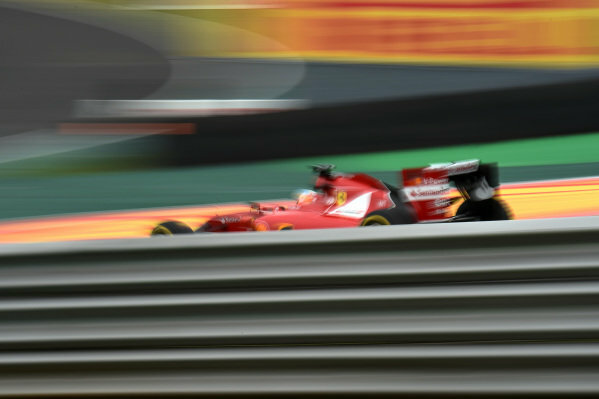 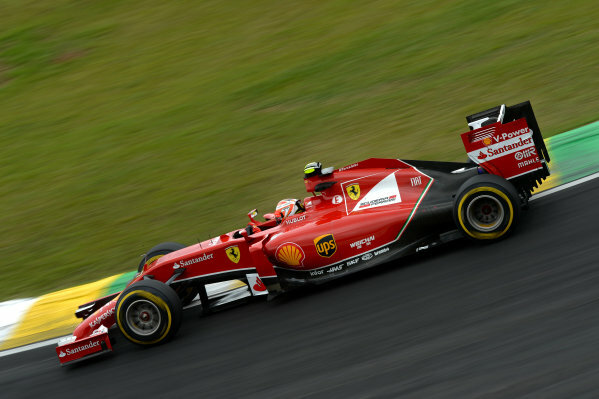 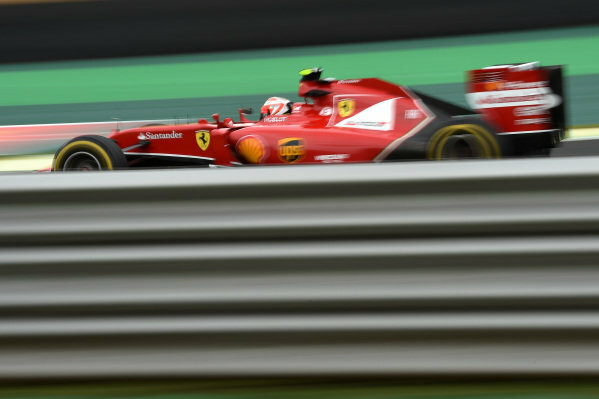 Kimi Raikkonen (FIN) Ferrari F14 T.<br /> Formula One World Championship, Rd18, Brazilian Grand Prix, Qualifying, Sao Paulo, Brazil, Saturday 8 November 2014. 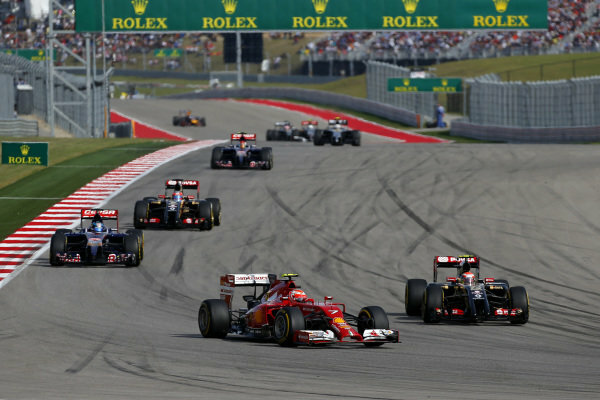 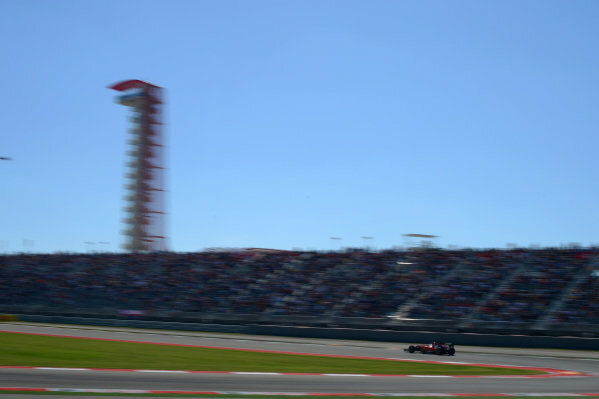 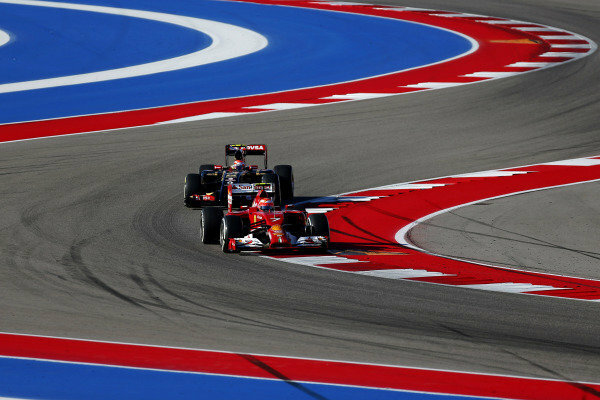 Kimi Raikkonen (FIN) Ferrari F14 T leads Pastor Maldonado (VEN) Lotus E22.<br /> Formula One World Championship, Rd17, United States Grand Prix, Qualifying, Austin, Texas, USA, Saturday 1 November 2014. 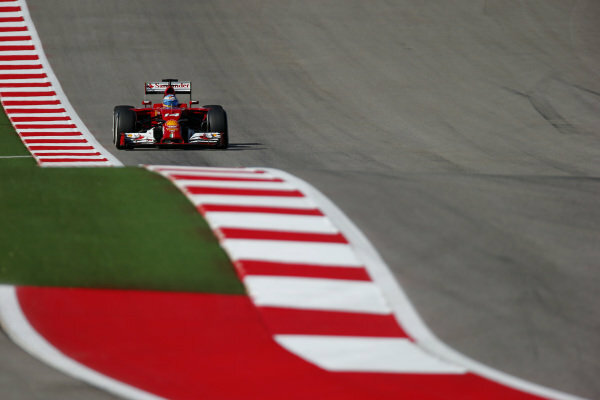 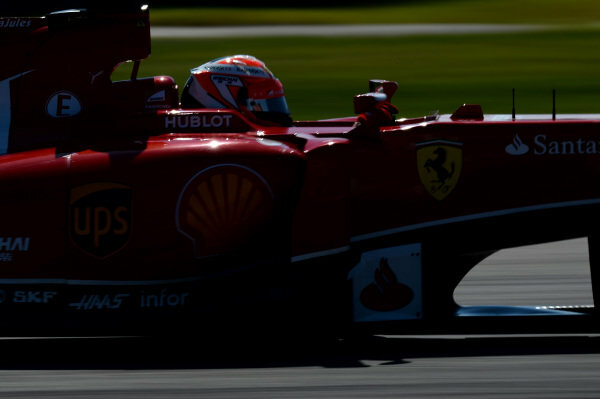 Kimi Raikkonen (FIN) Ferrari F14 T.<br /> Formula One World Championship, Rd17, United States Grand Prix, Qualifying, Austin, Texas, USA, Saturday 1 November 2014. 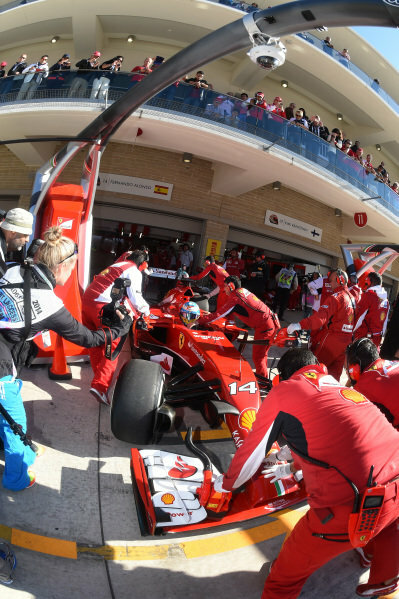 Fernando Alonso (ESP) Ferrari F14 T.<br /> Formula One World Championship, Rd17, United States Grand Prix, Qualifying, Austin, Texas, USA, Saturday 1 November 2014. 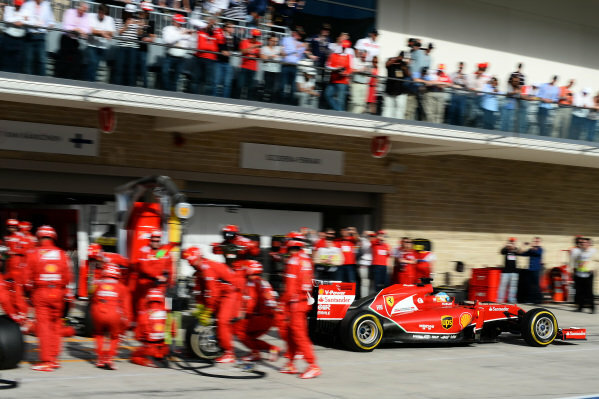 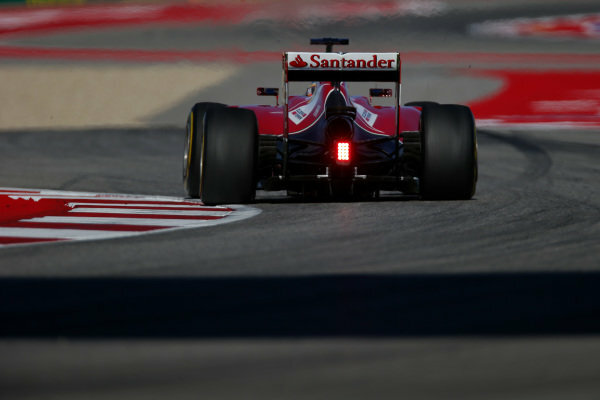 Fernando Alonso (ESP) Ferrari F14 T.<br /> Formula One World Championship, Rd17, United States Grand Prix, Practice, Austin, Texas, USA, Friday 31 October 2014. 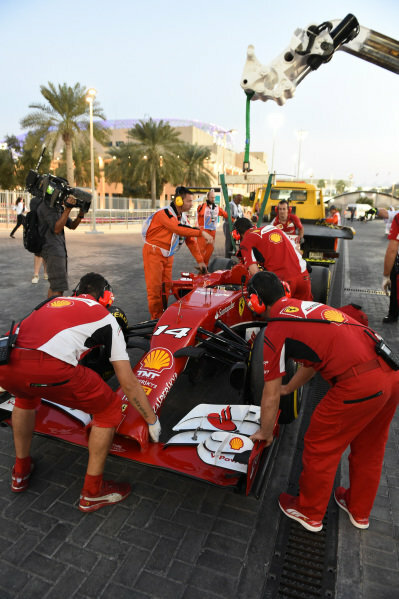 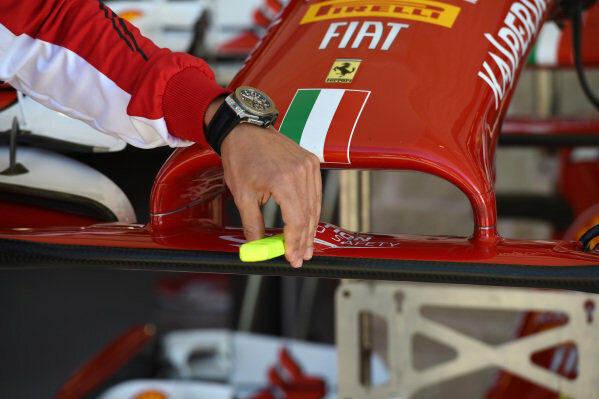 Marc Gene (ESP) Ferrari Test Driver pulls a cover off a sensor on the nose of the Ferrari F14 T whilst commentating for Sky Sports Italia.<br /> Formula One World Championship, Rd17, United States Grand Prix, Practice, Austin, Texas, USA, Friday 31 October 2014.